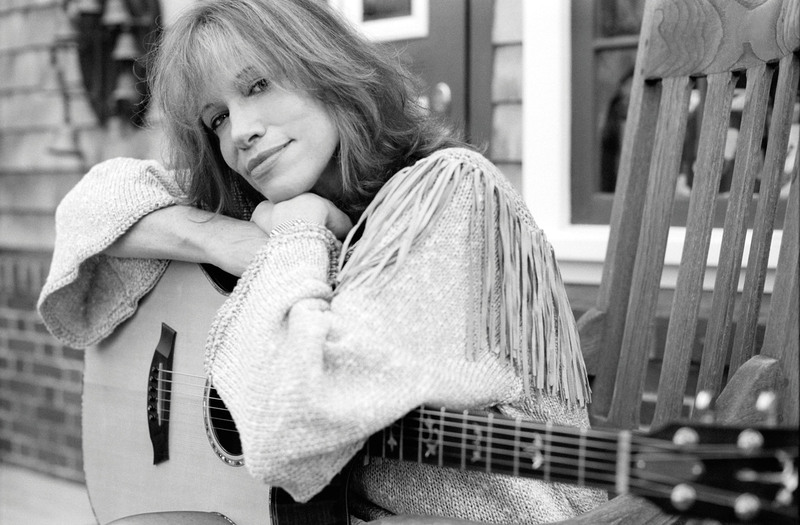 Interview: Carly Simon, Author Of 'Boys In The Trees' The woman behind "You're So Vain" has stories for days about love and music. On the occasion of a new memoir, she joins NPR's Scott Simon to unfold a few of them. Singer-songwriter Carly Simon is known for the songs "You're So Vain" and "Let the River Run". Carly Simon was born into what looks, from a distance, like a charmed life: Her father Richard was the co-founder of Simon & Schuster, the family moved in glamorous circles, and she eventually came to record some of the most personal, poetic and popular songs of our time. But as she makes clear in her new memoir, there have been plenty of tumbles, too. 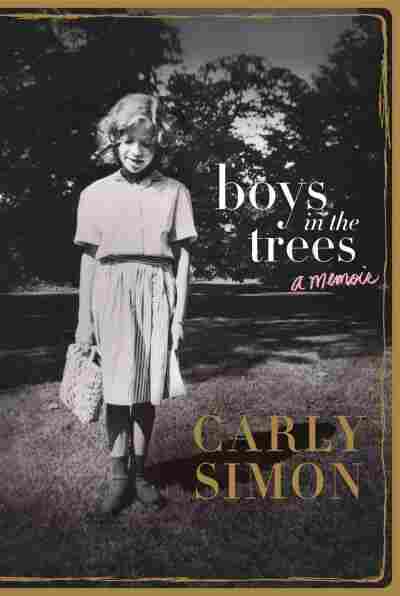 The book is called Boys in the Trees, and the singer and songwriter joined NPR's Scott Simon from her home in Martha's Vineyard to talk about it. Hear their conversation at the audio link, and read an edited version below. Scott Simon: What was it like for you to write about what, on the surface, sounds like golden days growing up in New York? Carly Simon: You know, the main reason that I wrote the book was because I had kept diaries for a good part of my life — starting, really, from when I could write, handwrite. And I talked about my sisters and my brother and my mother and father, and various people who lived in our apartment building in New York City, which was a six-story building that my father owned. And there was a lot of charm in just living in a big family compound of a house. My two uncles, who were into jazz, lived in the basement, and one of them, Uncle Peter, taught me my first songs on the ukulele. You and your sister Lucy were the singing Simon Sisters. How did you start singing together? We started singing together in my junior or senior year of high school. She was already in college, and she got a guitar first and learned some chords, which she taught me on the weekends and holidays when she'd come home. ... We learned a Harry Belafonte song, a Judy Collins song, a Tarriers song — and also we had a book of folk songs in our house on Martha's Vineyard. We would just look through that book and just gobble it up. We were so happy when we learned more than four chords. I can't get out of this interview without asking: Who did you write about in "You're So Vain"? Well, you know, of all of the things in the book, that's the one thing that I feel most uncomfortable about. I would say it's not not about Warren Beatty. But I can't understand why there's been such intense interest about this over the years and I don't really want to play into that. To me, it's not an issue. It's a kind of a fun riddle. May I ask about you and James Taylor? On the one hand, there are sections of the book where he sounds like the dearest person in the world, his drug habit notwithstanding. And then there are times when you don't like him because of what he does to you. Now, we've interviewed him on this show; he's welcome any time, I liked him. Has he read the book? Do you know? I'm pretty sure he won't read the book. I can't imagine that he would. He certainly hasn't shown much interest in me post-1980, or '82. It's a little bit confusing to me why a door is closed in such a vehement way. But I think when you get married, it's not a totally free ride — it's not without its unglamorous periods and its fights and its angry noons and silent dawns or vice-versa. Yes, of course, he did hurt me, and I'm sure I hurt him, too. But I think I had the best of James. I mean, I was so in love with him. Not with blinders on — I was in love with him because he is a remarkable man, and he gave me a tremendous amount. If I had to pick a favorite Carly Simon song it'd be "Coming Around Again" — especially for that great line, "Don't mind if I fall apart / There's more room in a broken heart." You know, that's so much a part of life, being able to embrace the broken heart, not just cast it off as having no meaning or trying to get rid of it. I think in the book gives a very good journey through the way I handled things that were desperately frightening for me. I think by the end of the book I have made that journey, and it's as if I'm coming up through the water and having oxygen again. You know, I'm constantly reemerging in my life.